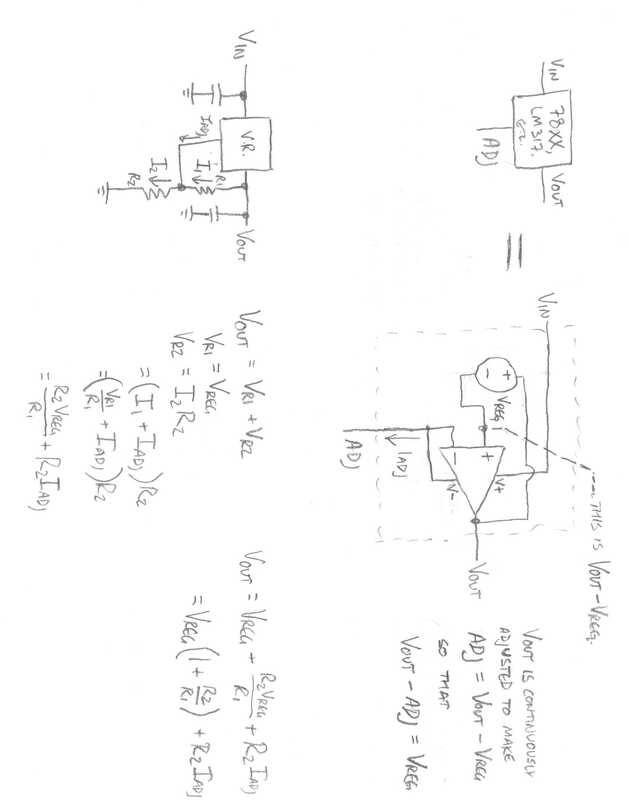 A linear voltage regulator is a voltage reference stuck to an op amp with high output current capability. Now you know—and knowing is half the battle. Knowing that these regulators are so alike, then, why should we ever choose ‘317 over 7805? The answer: ‘317 has a subtle difference that makes it far more suitable in its adjustable mode: The current out of its adjustment terminal is a couple of orders of magnitude smaller, enough smaller in fact that it could be disregarded in many cases when calculating Vout. 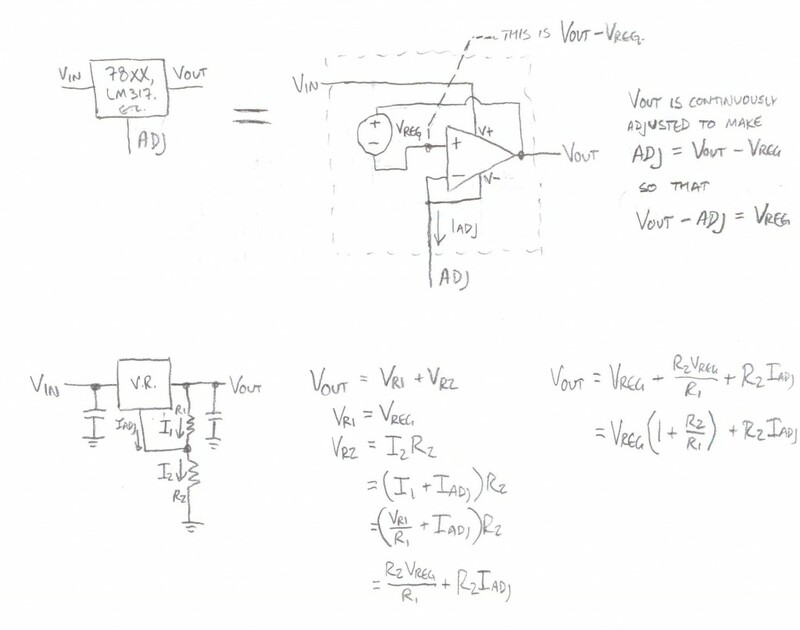 This is especially useful in cases where the application doesn’t adjust the output voltage, but that requires a regulator for an awkward voltage (like the 13V programming voltage of a PIC). Using a 7805 in such an application might require a trimmer to fine-tune the output, while the ‘317 would probably be okay with a fixed-value resistor instead.